For the diesel enthusiast looking for that special added touch, we stock premium Duramax FASS fuel systems that are designed to deliver superior performance to your engine. These lift pumps can support your engine with fuel for multiple upgrades, as well as provide additional filtration function which serves to improve the effectiveness of your injection pump and injectors, extending their life. The FASS fuel systems will even help clear up injector failure issues associated with Duramax diesel engines. 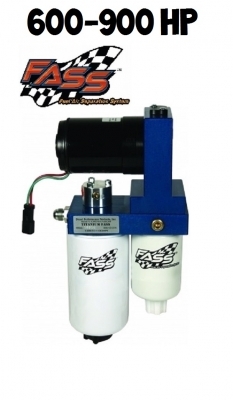 Our inventory of FASS fuel systems supports systems with anywhere from stock horsepower (0-600 HP) to highly modified horsepower (1200-1500 HP), so you're sure to find the setup that is appropriate for your engine. 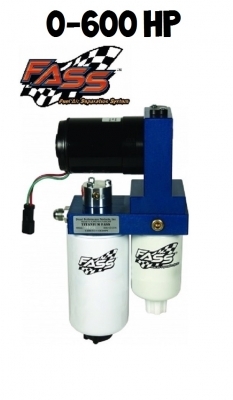 We carry the fuel systems, adjustable fuel lift pumps, electrical fuel heater kits, fuel filter replacements, water separators, replacement elements, fuel and water microns, and other essential parts, all available from FASS, a quality name. 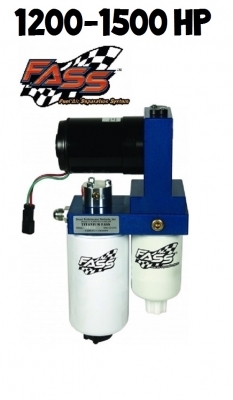 Browse our selection of Duramax FASS fuel systems and order yours now. We ship most right when we receive them if you order before 2:00 P.M. EST. If you have any questions about our products or inventory, don't hesitate to call us at 724-785-4022 or send us a message and we'll get back to you with an answer as soon as we can. We strive to match our superior products with exceptional customer service. Upgrade your diesel today!